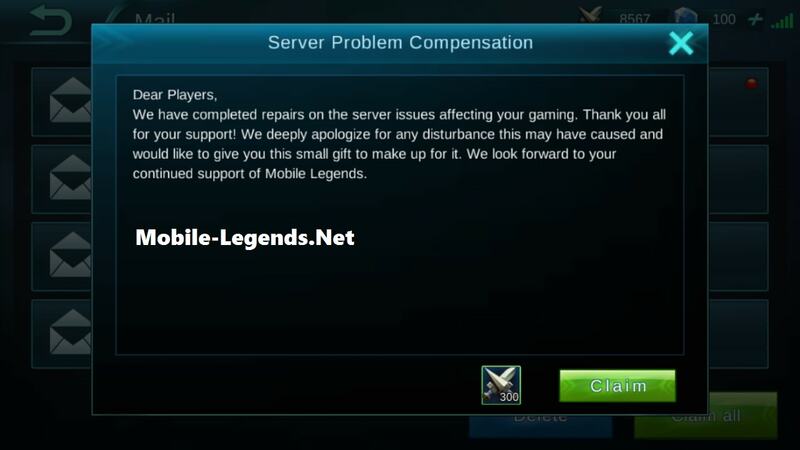 We have new mail about “Server Problem Compensation”. And Mobile Legends give us 300 Battle Points. I hope these problems will not happen again in the future. We have completed repairs on the server issues affecting your gaming. Thank you for your support! We deeply apologize for any disturbance this may have caused and would like to give you this small gift to make up for it. We look forward to your continued support of Mobile Legends.